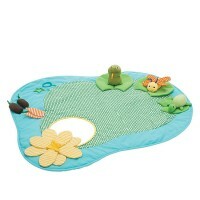 This deluxe baby shower or newborn welcome Baby Gift Set contains 5 popular Ambi Toys to develop senses, hands, and minds. 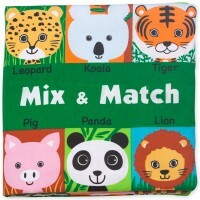 This deluxe gift set is a perfect present for the baby shower, or newborn arrival. 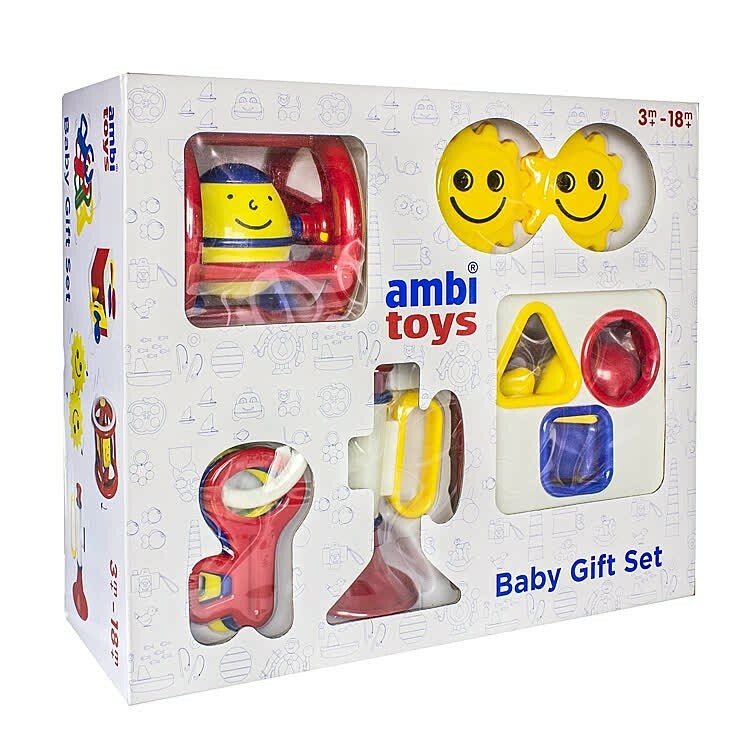 Designed for infants 3-18 months, this Ambi Toys' Baby 5 Toys Gift Set brings play tools for the little one needs to develop hands, senses, cause & effects, make first moves, first music, first sounds, and sort first shapes. 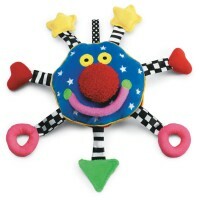 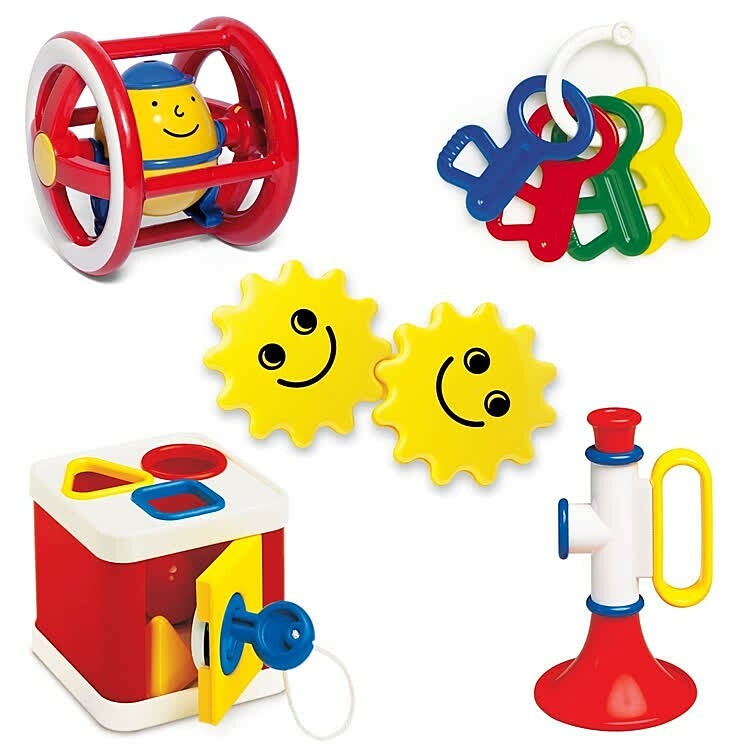 Infants will have fun as they play and grown with this Educational Toys Planet's baby toy set. This baby first gift toys set includes 5 bestselling Ambi Toys' infant playthings: Humpty Dumpty rolling rattle, twin rattle, first keys teether, first trumpet, and Lock a Block shape sorter. 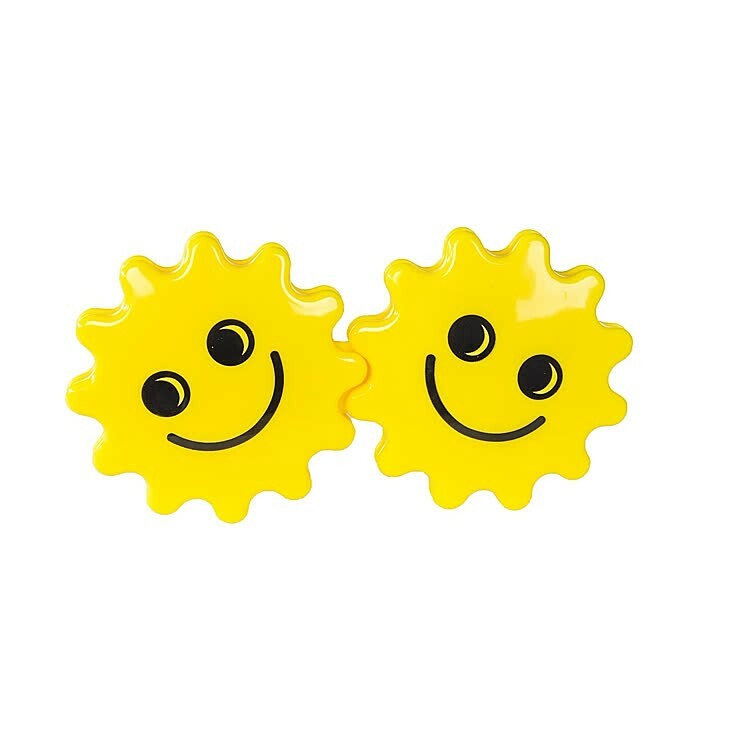 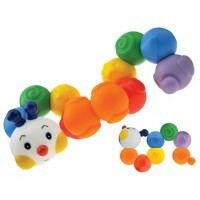 Two smiling rattles and set of keys will keep your baby company in a crib, stroller, or during baby gym play time. 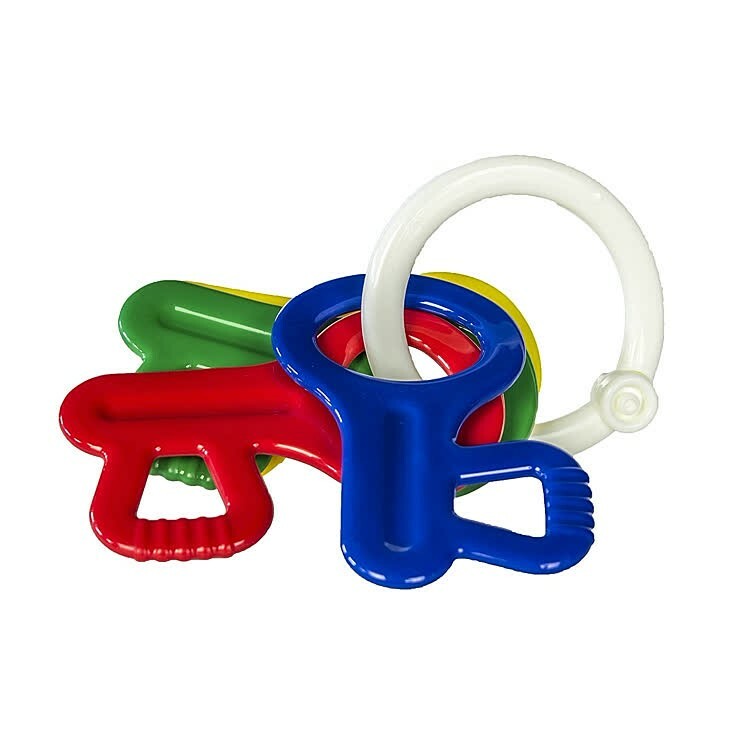 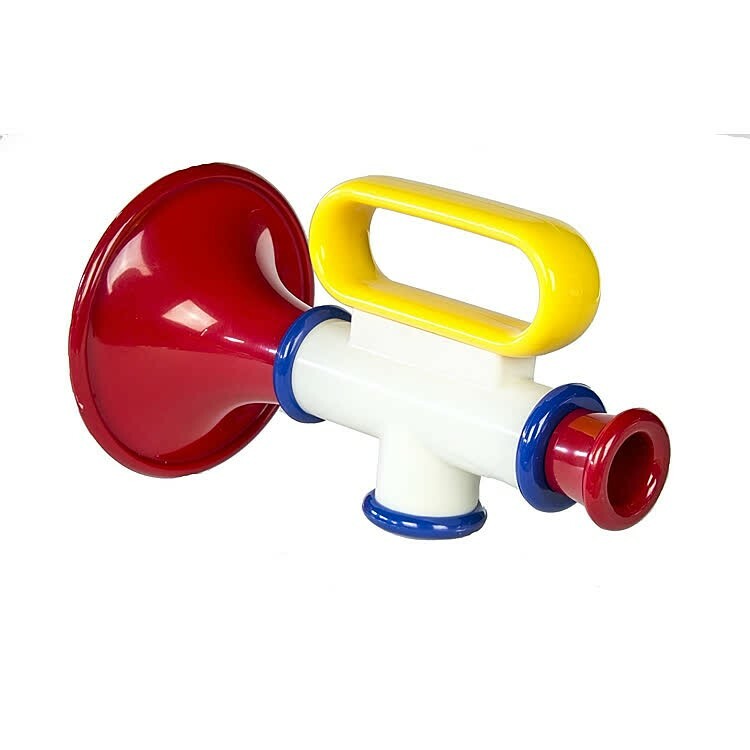 This baby gift set will not only ease the teething discomfort, help babies to recognize first sounds, but entertain your infant and later toddler with developmental activities. 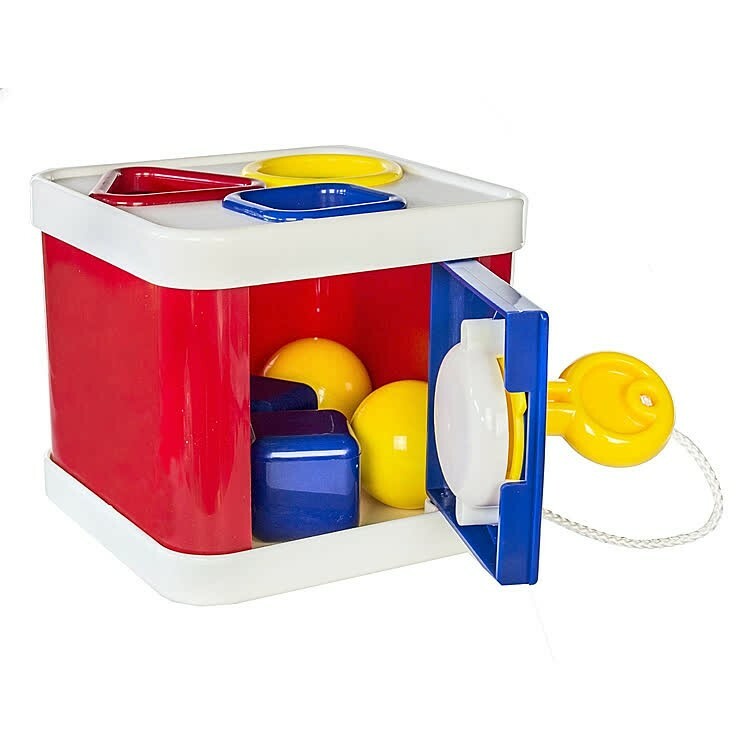 Containing 5 baby toys in one box, this terrific Baby 5 Toys Gift Set features bright colors, teething textures, rattling sounds, and more. 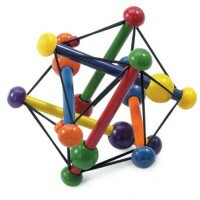 Lightweight and easy-to-grasp, the baby toys from this multi-activity playset provide excellent visual stimulation and tactile exploration for your little treasure. 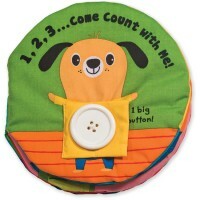 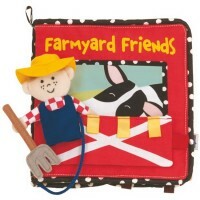 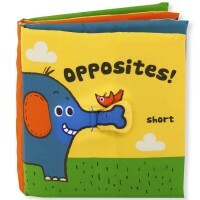 Dimensions of package 14.25" x 5.12" x 11.81"
Write your own review of Baby 5 Toys Gift Set.